Thomas would never have claimed to be a master of words. Back in England after 1951 his main reading matter was a daily paper, at first The Daily Mirror – later, as he grew more right-wing and the Mirror was dragged down by competition with the Sun, he switched to the Daily Mail. Otherwise, he contented himself with occasional copies of the Reader’s Digest bought at jumble sales, never opening a book. But he also knew it was not his grasp of language that was the reason for his inability to express his thoughts and feelings about October 29, 1943. On that day he was with Mrs. Florence Hyde while her husband was being beheaded on Stanley Beach, and the way he told his son about it, some time in the first half of the 1960s, conveyed both his continuing anger and his sense that some human experiences are beyond words. Given the vast gap between bankers and bakers in Hong Kong’s hierarchy-obsessed social order, it’s not likely that he knew the Hydes personally before the war. It’s just possible that Thomas and Mr. and Mrs. Hyde got to know each other during the period (January 1942–April 1943) when they were all part of the small contingent of Allied nationals left in Hong Kong– just over 100 men and a relatively tiny number of women and children. Although they weren’t by any means able to move around as they wished, they were allowed some freedom: Emile Landau, owner of the Parisian Grill, saw Mr. Hyde regularly at Sunday lunch, for example. However, it’s more likely that Thomas’s acquaintance with the family began when he and Evelina, Mrs Hyde and her five year old son Michael were all assigned to Bungalow D (in the Edgars’ case on May 7). They were there because Charles Hyde had been arrested. ‘Ginger’ Hyde was one of those bankers kept outside Stanley to help liquidate their own banks, and he’d had been taken by the Kempeitai on suspicion of a whole raft of ‘crimes’. He was, to his immense credit, guilty of them all: he’d been raising money to provide extra food and medical supplies to be smuggled into Stanley to help meet the desperate needs of the internees. He’d been listening to an illegal radio with another banker, Mr. L. Souza, and probably passing the news around the community of uninterned Allied civilians. He’d been ‘running’ Chester Bennett and the Portuguese solicitor Marcus Da Silva, two of the most effective of the British Army Aid Group’s agents in occupied Hong Kong. And he himself had been in contact with the resistance. According to John Stericker, Hyde was arrested on May 3, although other sources givean unspecified date in April. Marcus da Silva and Chester Bennett followed him into custody on May 14. During this brutal interrogation, Mr. Hyde became so weakened that the Kempeitai called in a doctor to examine him. It seems that he never named his two agents, as Marcus da Silva managed to convince the gendarmes of his innocence and was released, while Chester Bennett, according to da Silva, was executed purely on suspicion in the absence of either a confession or the kind of hard evidence that Hyde could have provided. While the grim process of interrogation and the gathering of evidence was going on, life continued more or less as normal for the other internees – except, as Jean Gittins later wrote, a Camp that had been stagnating under the twin curses of confinement and malnutrition, now found that it was pervaded by an ‘intense and nameless fear’. In August Thomas began collaborating with his old ‘boss’ Doctor Geoffrey Herklots; together they managed to grow yeast cultures and hold up the rise of cases of beri beri, caused by lack of the B vitamins, in Stanley. Ironically, while this battle was being won, the husband of one of the other women in Bungalow D was dying of vitamin deficiency in the prison just outside Camp. 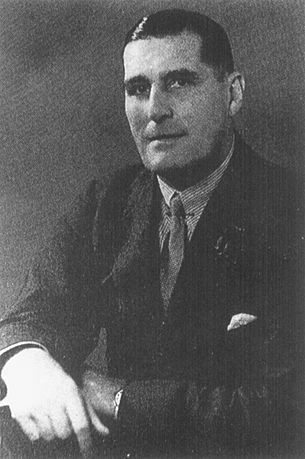 A Stanley internee Dr. Harry Talbot had been caught – probably about March 3 – trying to smuggle money back into Camp after being allowed out for treatment at the French Hospital (where Thomas and Evelina had been living at the time). After a few days of pressure from the gendarmes, Sir Vandeleur Grayburn, the most senior banker in Hong Kong, perhaps in the whole of Asia, confessed that he had been the one who provided the cash, claiming that he had wanted it divided amongst some of the Camp nurses. After a two week delay – probably to ask for permission from Tokyo to arrest such an important man – on March 17 the Gendarmes took Sir Vandeleur to Happy Valley Police Station. 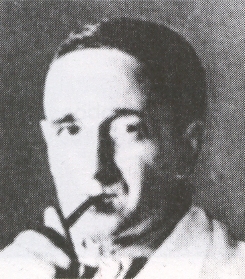 C. M. Faure – a former member of the editorial staff of the Japanese-run Hong Kong News, who some believe had used his position to signal to the prisoners as much of the truth about the course of the war as he could – had been arrested on February 18 and was in the Happy Valley station when Grayburn was brought in. He testified that Sir Vandeleur was detained in a dirty ‘cage’: you had to crawl on all fours to get into it, there were sacks on the floor – presumably as bedding – and each prisoner was given just one bowl and one blanket. There were ten people to a cell, and the stench was so bad the warders had to hold handkerchiefs to their noses when they entered. There was not enough light to catch the lice that infested every individual. Washing facilities were always inadequate and at times there was no water at all. The food provided was so scanty that Faure estimated he lost half a pound in weight every day. Grayburn and his assistant E. P. Streatfield (who had also confessed) were held in a ‘similar’ cage: the only difference was that at this stage the two bankers were allowed to receive food from outside. Grayburn was badly beaten, but he obviously managed to convince his interrogators that he wasn’t involved in anything like spying, as there is no record of him having been given the ‘water treatment’, which was generally used on people suspected of espionage, and he was eventually sentenced to 100 days in prison, about as light a penalty as the Japanese ever gave. Stanley internee George Wright-Nooth saw him, being brought into Stanley Prison on April 13, handcuffed to E. P. Streatfield, and other internees sometimes saw him taking exercise in the yard. Lady Grayburn either went to Stanley voluntarily or was sent there soon after her husband’s arrest and she too was assigned to Bungalow D, from which she conducted a vigorous campaign on her husband’s behalf, and sent him in extra food and vitamin tablets. George Wright-Nooth, working with a Chinese agent, smuggled both letters and vitaminized chocolate into the prison for the banker. The food given to prisoners was not enough to live on: those Chinese who had no families able to support them died slowly of starvation. Survival depended on two things: having people outside with the money to provide extra rations, and the willingness of the prison authorities to allow the prisoner to receive them. The smuggled rations, and whatever food sent in openly that the Japanese actually passed on, were not enough to maintain Sir Vandeleur’s health. He was admitted to the prison hospital, a hideous place where many people were sent simply to die unattended, where there was no attempt to maintain even the lowest standards of hygiene, and where the rations were still smaller – Streatfield later estimated they were about two thirds of the ‘normal’ prison ration – to discourage ‘malingering’. An Indian warder, Kader Bux, made repeated requests for medical attention for the prisoner, but was always refused. Eventually Bux – who understood better than anyone what he was risking – took Dr. Talbot (the man whose arrest had started the whole chain of events and himself serving a hundred days for his role in the affair) to examine the patient. Talbot saw him twice. The first time he had a high fever and was slightly delirious: the courageous Bux smuggled sulphonamide drugs into the prison. The next day Grayburn was comatose and seemed beyond help. He’d been admitted to hospital suffering from boils and because of insufficient dressing he was squeezing them out himself, which, in Dr. Talbot’s view, had given him septicaemia. Without drugs Talbot could do nothing. His wife was never told of his illness or brought to see her dying husband. His body was sent into Stanley Camp, where doctors performed the best post-mortem they could under the circumstances and decided that the cause of death was malnutrition. Meanwhile the ordeal of those arrested earlier in the year was continuing, in Stanley Prison and elsewhere. Throughout the spring rumours appeared and disappeared in Stanley Camp about the fate of these prisoners, but the full truth was not known until after the war. Brutal torture, probably of all those arrested, began at once. A few names were given: George Wright-Nooth, one of those with most to fear, stressed no-one ever blamed those who were unable to resist, not even the people they implicated. All the more wonder that a man like John Fraser, a senior government official, who was singled out for continual violent interrogation because the Japanese rightly suspected he knew more or less everyone involved in ‘illegal’ activities, never gave away a single name. It’s a tribute to all these men that nobody named everybody: for example, the Japanese were eager to find evidence incriminating Franklin Gimson, the leader of the internees, but he was never implicated, even though he was the one who authorised most important ‘illegal’ operations. On August 19 the Japanese prosecutor, Major Kogi, decided that he had enough evidence to secure convictions of all concerned. The torture that the unfortunate prisoners had been undergoing probably stopped, and Pennefather-Evans and Whant, two police officers against whom no evidence had been secured, were released. The remaining prisoners were kept in ’B’ block of Stanley Prison awaiting trial. The trial took place on October 19. Those who were going to be given prison sentences had had their fingerprints taken two weeks before; this procedure was not carried out on those whose deaths had already been decided on. The trial itself was a farce, with a dozing and inattentive senior judge and a guard who saw it as an opportunity for more brutality: the prisoners were forced to stand in a line throughout the proceedings and beaten if they made the slightest movement. Charles Hyde and the Canadian T. C. Monaghan were beaten with a sword scabbard for daring to talk. Fraser replied boldly and clearly, his voice ringing resonantly through the courtroom, that he alone was responsible, that he acted solely on his own judgement. There was one session in the morning, another in the afternoon, and at the end the pre-decided sentences were read out: death for the majority, including Fraser, and long prison sentences for the four others. There’s another amazing thing about John Fraser. Anyone who, as a very young man, had fought for two years and more in WW1 – he was awarded a Military Cross in 1916 and added a bar the next year – had later been singled out for repeated torture by the Japanese, and had just heard a sentence of death being passed, might well be forgiven for feeling that they’d had rather a raw deal in life. But, as the prisoners sat down to eat their midday ‘meal’ together, Fraser seemed unconcerned by all that had happened, chatting in a relaxed fashion, looking on the bright side, and showing not one ounce of self-pity. After the war, he was awarded a posthumous G.C. for his almost unbelievable fortitude. So was Captain Ansari, although the full story of this courageous soldier cannot be told here. I suspect that if all had been known about the conduct of the other prisoners, more awards would have been made. On October 29 a van was seen driving towards Stanley Beach by a group of British children. A voice came from the van; the simple ‘Goodbye, boys’ was the final message from this group to their fellow internees. There is some disagreement as to what happened next. A number of sources claim the victims were shot, but what I think are the two best published sources claim they were beheaded. Hal Boyle, the American war reporter, writing in 1946, claims the beheadings were competently carried out and soon over, while George Wright-Nooth provides a graphic description of a process that, apart from in the case of the first three victims, was bungled and bloody. Interned policeman Norman Gunning adds that some internees could hear the shouts with which the Japanese soldiers greeted each beheading. Many sources claim that a number internees witnessed the scene – from Bungalow C, from the cemetery, from close to the cemetery – but I have never come across the account of anyone who claimed to have done so themselves. Official confirmation didn’t come until November 22. A short notice given to the Camp Secretary Franklin Gimson noted the punishments meted out with scrupulous ‘correctness’: there was not surprisingly no mention of the Chinese prisoners, of the military man Captain Ansari, or of the civilians arrested in Hong Kong (the American Chester Bennett, the Canadian T. C. Monaghan and the – probable – Englishman Alexander Sinton) for whom Gimson had technically speaking no responsibility. Details were provided of the fates, whether prison or death, of all those arrested in Stanley Camp. It named those executed as John Fraser, Douglas Waterton, Stanley Rees, Walter Scott, F. W. Bradley, and Thomas’s fellow Lane Crawford employee Frederick Ivan Hall. The notice also mentioned the fifteen year sentences given to the two (unrelated) telephone engineers James and William Anderson, and to the policeman Frank Roberts. The execution of Charles Hyde was also recorded, as was the ten year sentence handed out to D. C. Edmonston, as, although arrested in the city, their wives were in Stanley. It was a terrific shock to everyone and the whole camp was depressed…. (W)e felt very deeply our utter inability, a that moment, to do anything about it. We had a sense not of defeat but of bitterness and anger….We felt that the Camp was a menagerie with wild animals as guards. Those same feelings of impotence and anger radiated from Thomas, who was more closely involved than most with the day’s events, when he spoke about them years later. Marcus Da Silva, one of those who could easily have been amongst the victims on Stanley Beach, claimed the Japanese probably wouldn’t have executed Chester Bennett just for financial ‘crimes’, but did so because of the arrival in September of Japanese ‘thought police’ from Tokyo ‘who put the harshest kind of penalties into effect’. I’m not sure who these men were, but da Silva’s theory seems plausible, as this group of prisoners seems to have been treated particularly harshly. Most of the messages smuggled in and out of Stanley involved health not military matters, Grayburn, Talbot and Streatfield had previously escaped with 100 days in jail for their share in the ‘illegal’ activities, and the Japanese had radio experts who could have told them that the sets in Stanley were not capable of sending out messages, so that any contact with the resistance through such means could have been, at most, one way only. Seven civilians were beheaded, whereas only three soldiers were to lose their lives for offences similar in kind but much more threatening to Japanese interests. In less than a year Mrs. Hyde too was dead. She was killed not by a Japanese sword but by cancer of the bowel. Many internees would have agreed with Jean Mather, who wrote that she died of a broken heart. Her son, Michael, was adopted by the widowed Lady Grayburn, so he stayed in Bungalow D.
Thomas remembered the events of October, 29, 1943 for the rest of his life. In their unspeakable awfulness they seemed to crystallise his experience of the Hong Kong war. It wasn’t, of course, that it was all as bad as that or even that there was nothing good about it. After the war had ended, Thomas’s feelings about this time were far more complex than that, as were those of most internees. But October 29, 1943 was the day on which Thomas most painfully experienced the dark world’s fire. He had thrust on him yet again the fact of his own vulnerability and that of those he cared about. He understood that some situations are beyond redress, and that it is not in human nature to be able to respond adequately to those undergoing extreme trauma. And he knew that he had been changed forever by the experience. Living with him in Bungalow D were now two women whose husbands had died in dreadful circumstances, and Hilda Sewlyn-Clarke, whose husband, whether or not she knew it, was matching John Fraser in his heroic refusal, whatever was done to him, to give away the names (and they almost certainly included Thomas’s) of those who had helped him in his humanitarian smuggling. The reign of terror was to claim the lives of three more British men, this time soldiers, who were shot on another of Hong Kong’s beaches on December 18, and three more bankers were to be taken from a Bungalow close to D in January and February 1944. They were to come close to death through starvation and mistreatment in prison, but they survived, unlike their fellow D. C. Edmonston, sentenced to 10 years in the October 19 trial, who was to die in similar circumstances to Grayburn on August 29, 1944 (this time the wife was summoned, but arrived after her husband had fallen into a coma). Although no-one could have known it at the time, the Kempeitai violence against the British civilians was in fact diminishing after October 29, as it had achieved its aim of breaking the anti-Japanese resistance. But, as the months of internment wore on two new fears became stronger and stronger: death from malnutrition as the food supply worsened, and the prospect of a final massacre which would wipe out the inhabitants of Stanley Camp completely. Emile Landau, the owner of a popular pre-war restaurant was one of those loaning money to the British through Hyde, and suffered greatly for it. George Wright-Nooth was, hopefully, not aware of this when he wrote the unpleasant section on him in Prisoners of the Turnip Heads. The Camp Log (IWM MISC 932) gives the Camp numbers as follows: Thomas 2430, Evelina 2431, Mrs. Hyde 2438, Michael 2439. Evidence of Frederick Tyndall at trial of Noma Kennusoke, reported in China Mail, January 1947, page 2; see also the evidence of Rudy Choy. Jean Gittins, Stanley: Behind Barbed Wire, 134. Evidence of Edward Streatfield at the trial of Sato Choici, reported in the China Mail, April 2, 1947, page 3. China Mail, January 3, 1947. China Mail, April 2, 1947, page 3. Evidence of Dr. Harry Talbot at the trial of Sato Choici, reported in the China Mail, April 4, 1947, page 2. Wright-Nooth states that a warder named Gholum Mohammed did his best to comfort Grayburn; I don’t know if this is the same man. Morrison’s account is quoted in Wright-Nooth, 175. Stericker, 181. Some accounts just say ‘internees’. Norman Gunning, A Passage to Hong Kong, 111. During my childhood I believed that Thomas had watched the executions with Mrs. Hyde. I now regard this as most unlikely. I’ve noticed that later memory seems to recreate ‘big’ events much more than ‘small’ ones, and particularly those involving horrific scenes. I believe that in this case it was my memory at fault, not my father’s. Given in full in Stericker, 182. Entry for November 4, 1943. Gerrard’s diary is viewable by members of the Yahoo Stanley Camp discussion Group. ‘Tragedies in Stanley’, 2/44. Part of: Lancelot Forster, Five Folders of notes, essays, documents, held at Rhodes House, (Oxford), Mss. Ind. Ocn. S. 177, 1/2/3/4/5. This essay is in folder 5. Ralph Goodwin, Passport to Eternity, 190-191. Jean Mather, Twisting The Tail of the Dragon, 72.